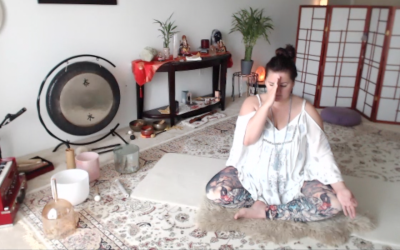 MELTed Self-Care for your Soul and Instagram Yoga Challenges! Taking care of ourselves is the best gift we can give to others. To begin to nourish and nurture our own needs and passions allows us to become more whole hearted so we may bring this to the table in our interactions with others and ultimately teach our youth to care for themselves and become authentically whole hearted beings! An awesome photo taken by @speed_grapher_ for his High School photography project on Relaxation. I am so impressed by this photo, looks like sun rays shooting out of me! Too cool!! It was so rewarding helping someone with such a creative spark in him. His father @creative365 worked so well in teaching him ‘tricks of the trade’ without taking away from his sons own creative process and vision!! Thanks for including me in such a cool project guys!! Day 3 of #blossomintoasanas is #uttanasana –#standingforwardfold for Anahata/Heart – Fourth Chakra. I love this challenge, not only because I adore working with the energy of my chakras, but I don’t think I’ve ever worked with the back aspects of my chakras … So, this different perspective is too cool!!! Traditionally we open our hearts by opening the front body towards heaven, to manifest love and compassion to others, and as you see here we are folding within and opening the back aspects of Anahata to show love and compassion towards our journey, where we traveled and have come to thus far . . . The front aspect of our chakras relates to the world in front of us, and that which manifests in the world we live in and face on a daily basis. The back aspect of our chakras is our connection to our past, lineage, and ancestors, and the hidden and invisible aspects of that which has yet to manifest! Anahata Affirmation . . .